An early fifties Ford Panel truck and two Packard sedans are in front of this building which must have been a sign makers delight. Genesee Beer is a New York State brand. This entry was posted in Auto photos 1946 - 1965 and tagged Ford, Packard. 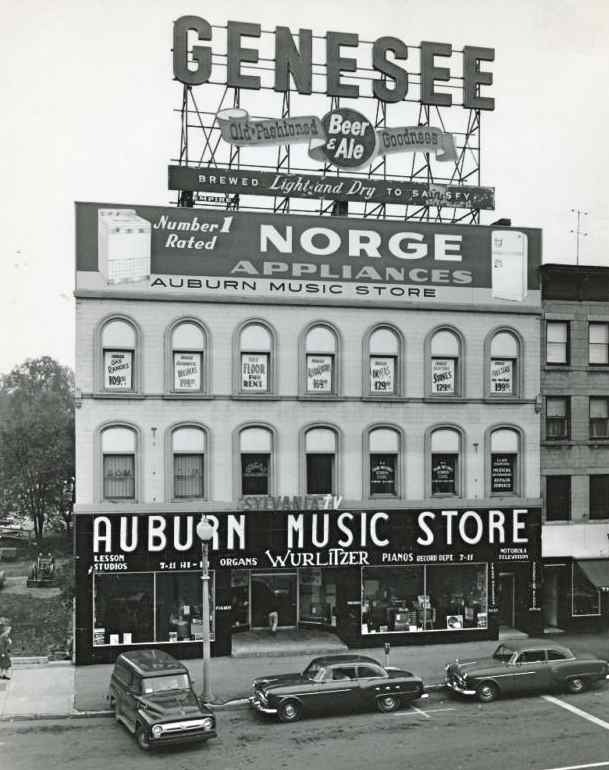 That Auburn, NY music store and the Genessee beer sign are still there!! The music store has changed names, but the same family runs it. Genesee beer is …. ummm… still Genessee beer…..